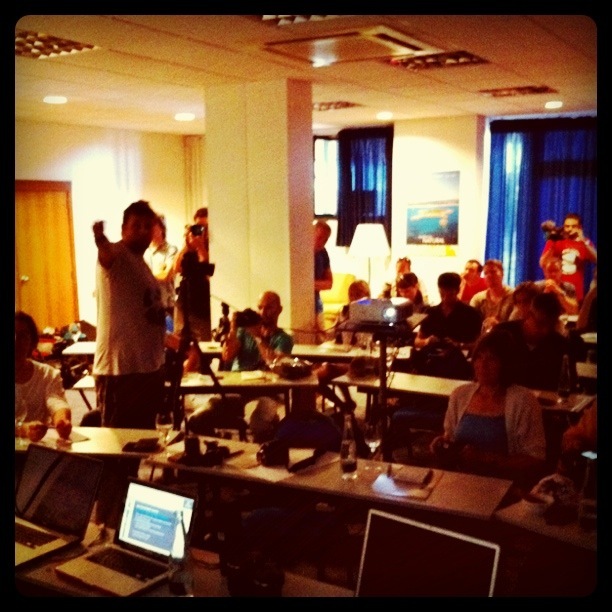 It’s only a about two weeks until the first Filmmaking Masterclass in 2012 is going to take place in Las Vegas, and only a few days later in beautiful Key West, Florida. In June, we will host the 3rd Masterclass of 2012 in Majorca, Spain. For all dates and booking information, head over to our dedicated Filmmaking Masterclass website at film-masterclass.com. 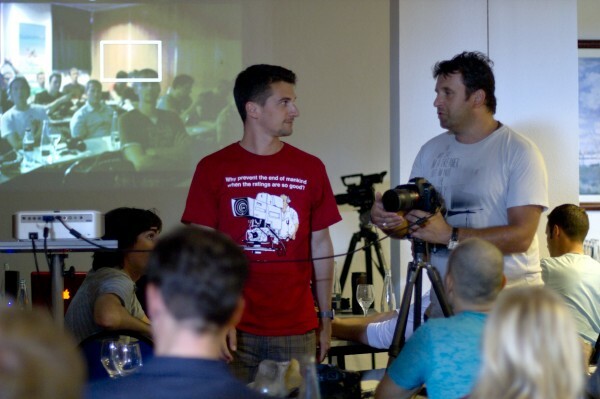 Sebastian Wiegärtner and I started the first “European HDSLR Masterclass” (as we called it back then) in 2010 in Majorca. Our buddy Philip Bloom unfortunately didn’t have time to join us for the first one, but we went ahead anyway: So many people were eager to learn about shooting professional video with DSLRs, and we seemed to be among the ones who had most experience with these cameras in professional environments – people kept asking us for our experience online, via Twitter, E-Mail or Facebook – but shooting with these cameras has a lot of caveats and a lot of stuff is hard to explain in writing. This first “test” was a huge success, we had a great bunch of people who made two really good films and learned their DSLRs inside and out within these few days on the island. Check out one of the films they made below – “Bonanza” (the name of the hotel). While most of it went well, we weren’t too happy with the original hotel location on Majorca as we were in a very densely populated part without much nature or natural beaches which would have been great to shoot at – so we decided to move further South in 2011, and we found the perfect spot and hotel in Colonia Sant Jordi – a huge natural beach, probably the most beautiful one on the entire island. Philip Bloom joint us and the Masterclass became a huge success – on an even bigger scale (and that’s also were it’s going to take place in 2012). Watch some of the films that were created there by clicking here. With every single workshop and Masterclass we learned a lot and enhanced the concept further and further. Our top priority is to get people shooting as much as possible. That’s what it’s all about after all, and that’s were people can learn most. Actually using the gear, and trying different techniques, hands-on. While camera theory is important too – the differences and intricacies of the cameras, the influence of different settings on the image, and so on – we are convinced that there is no better way than actually go out and shoot. Ideally in an environment that allows you to make a lot of mistakes which you shouldn’t necessarily be making on a paid job. In an environment that lets you come up with creative ideas and find out how to achieve the results you are looking for – under our guidance and with the help of your fellow attendees. Over the last few Masterclasses, we have increased the level of the course consistently, as we have learned that most of the basic stuff is already known by everyone. The 2012 Masterclasses are intermediate to advanced level and we ask our attendees to already have knowledge of a lot of camera and shooting basics, so we can take them much further. In case anybody is unsure about their own level, don’t worry – we are sending out learning material with all the important basics weeks before the courses, so people can get ready and freshen up their knowledge. It’s basically information that is available via our and our colleagues’ blogs and filmmaking websites, in concentrated form! It’s also a manual to stick to in case you are not sure about something. We also decided to make each Masterclass unique. Each single one won’t be like the other. 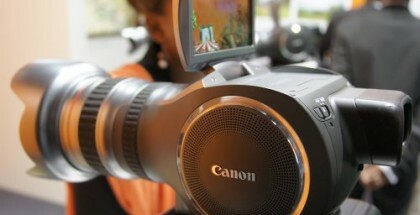 We focus on different aspects and genres of film production while maintaining a certain universal approach to the topic. 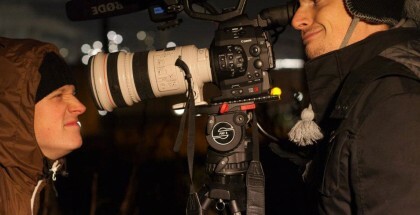 For example, in Las Vegas we will shift the main focus on corporate filmmaking. 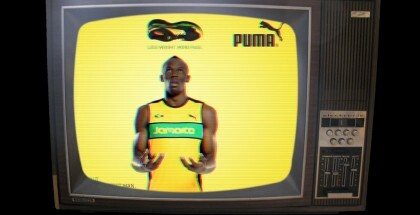 Commercials, corporate or promotional films, interviews – stuff like that. The Las Vegas Masterclass will take place in a huge resort in the South East of Las Vegas, the Westin Lake Las Vegas Resort & Spa. There, attendees will have a chance to shoot in and around the hotel venue. We will give attendees some rough theme or item to work with – they will be asked to do a corporate film or commercial on said theme or item. In the past we have found it most stimulating for attendees if they are given a rough idea of what they can shoot, but not too much of that – the creative freedom is still a top priority, but the rough theme guides them and gets their ideas flowing. Apart from the seminars on cameras, interviewing techniques and other stuff, we will have seminars on various aspects of corporate filmmaking. For example, we will talk about how to deal with client briefings. As everything else, these talks will be as close to reality as possible and we will talk about actual briefings that we got from clients in the past, and how we dealt with them. Sometimes the hardest part is finding the right approach on how to deal with a specific film project, and that is of course especially relevant for hired work, where the real trick is to produce something creative while staying within budget and time limits. Talking about time limits, in Las Vegas we will have Preston Kanak joining us as an additional hands-on tutor. Preston is a filmmaker from Canada who is particularly proficient in managing time on productions – in 2010, he set out to shoot one movie per day for the entire year, as a personal challenge. He has to say a thing or two about efficiency, as you can imagine! There will also be a portion about how to budget a corporate shoot, because this can be among the hardest parts for shooter-director-editors type of people. In one of the most beautiful spots on the planet, the wonderful Key West on the Southernmost point of Florida, that unique Masterclass will be all about artistic filmmaking. It’s all about art – the films YOU want to make. Either short documentaries, narratives or even a little “beauty” or timelapsing piece – if this is what you are aiming to get better at, this is the Filmmaking Masterclass for you. The nature of this Masterclass means that groups will greatly benefit by staying small, that’s why we have to charge a little more for the Key West Masterclass – it’s more exclusive but definitely to most personal experience of all the Filmmaking Masterclasses we have planned for this year. We will spread out over town together with the groups and try to capture the incredible natural beauty of the Keys and Key West as a town. In the specific seminars about artistic filmmaking, we will have Philip Bloom talking about how he creates an atmosphere, and how he approaches an artistic shoot – how he maps out what he wants to shoot in his head and then pursues that goal step by step, adjusting whenever it’s needed. We will talk about how to pick a subject for a documentary and finding a theme for a narrative short. Like in Las Vegas, we will aid attendees by giving them a rough theme or item to base their idea around. While planning the group shoot, people will be involved with rough scripting and storyboarding– before they go out and shoot what they want to shoot, possibly adjusting their original plan as much as needed and improvising on the spot. 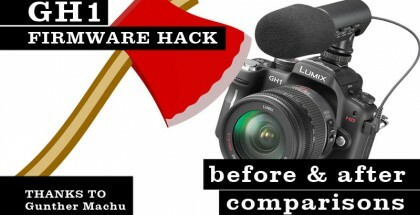 Like in Las Vegas, we will talk about choosing the right tools for the particular job – which camera, which lenses, and so on. We will talk about upsides and downsides of various setups. We will also deal with timelapsing in Key West, with Philip Bloom showing you advanced techniques of planning and calculating a timelapse shoot accurately, without messing too much! In Majorca, we will this year have a specific focus on storytelling. We will be joined by a professional script consultant, Ines Häufler, who is working on enhancing feature and short film script on a daily basis. She really knows the toolset on how to create a working storyline, and she will guide our participants through that process in order to make their films better. She will also be there during the shoot for individual tutoring with each single group. Like in 2011, the Majorca Filmmaking Masterclass will take place in Colonia Sant Jordi, right next to the most beautiful natural beach of the entire island. Other specific seminars in Majorca involve a mixture of corporate and artistic filmmaking, similar to the above. There are a few things that all three Masterclasses have in common: The better part of the first day will be spent on the theory of advanced shooting techniques, new cameras, their ups and downs as well as a hands-on section. A portion will be dedicated to proper sound recording, which is often something shooters neglect way too much. We will also be covering interviewing techniques in every course as this is something so essential that is relevant for every shooting scenario. Masterclass-specific seminars will be held on all of the days, with some of them optional – meaning you don’t have to attend them, you can also continue shooting your film if you prefer to. There will also be tons of gear from our sponsors to check out and use – for more details, see the sponsor and give-away section below. In the hands-on sections, people will have a chance to get to know each other as well. By the late afternoon, we will put people into groups, in which they will shoot their films. Of course it’s up to yourself who you will be going in a group with, but we aim to put participants of similar levels in the same groups as this has proven to be most effective – that’s why we are asking for each and everyone’s personal experience and what their range of work is. We want to tailor each Masterclass as close around the individual needs as possible – this is also where the very limited numbers of attendees come into play! 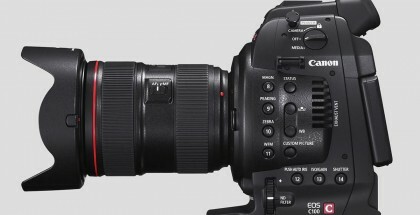 We will have the latest and greatest cameras there Canon C300, Sony F3, FS100, in Majorca maybe (don’t know for sure yet) even the brand-new FS700. 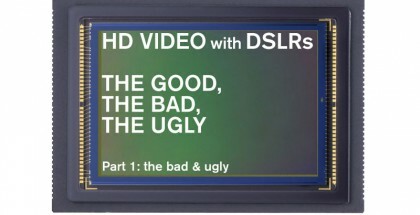 Plus of course DSLRs of many flavors, e.g. 5D Mark III, Sony NEX-5N and so on. The evening of the first day will be dedicated to casual get-togethers by the groups. Each group is given an item or rough theme to work with, but they have to come up with what they actually want to shoot by themselves. During that evening and over dinner and drinks afterwards, most groups will come up with a script or story idea, which they can start shooting either right away, or in the morning of the second day. In Majorca, script consultant Ines Häufler will be holding a basic seminar on storytelling on the first day, and guide the individual groups through with their ideas in the afternoon. The second day will almost entirely be dedicated to shooting in the groups. Depending on the Masterclass, the attendees will either spread out in or around the hotel resort area (like in Las Vegas or Majorca), or even go downtown, splitting up in smaller groups (Key West). Philip Bloom won’t be permanently attached to one specific group, but rather switch between the groups every now and then, so everybody gets most of his experience. The other tutors will usually stick with one group and aid them throughout the shooting day. The third day will be mostly about post production and editing. Some groups might finish up their shoots in the morning or do pick-ups after they have already done a rough edit of what they shot in the evening before. We will talk about post production workflows talking about Premiere Pro, Final Cut Pro 7 and also a little bit about Final Cut Pro X. 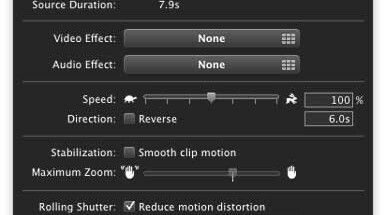 Please be aware that all tutors work on Apple computers and therefore this is where our main expertise lies with regards to post production. This is however not a problem if you are using Premiere Pro on Windows as it’s the exact same software on all platforms. Due to the fact that people prefer very different editing workflows, attendees are advised to bring their own laptops with their own software if possible. We had problems before with people who felt force to use another platform or editing program, so we think this is the best way to do it. Of course not everyone needs a laptop with editing capabilities, but from our experience, the majority will bring their own work stations anyway. It’s enough to have one editing station per group of course – after all, this is mainly a shooting, not a post production course. We will show attendees how to deal with the different formats from the multitude of different cameras now on the market. During the entire course, people will be able to use the unique products by our sponsors Vitec Videocom (Sachtler, Litepanels, Petrol Bags, Anton Bauer, OConnor) on their shoots. 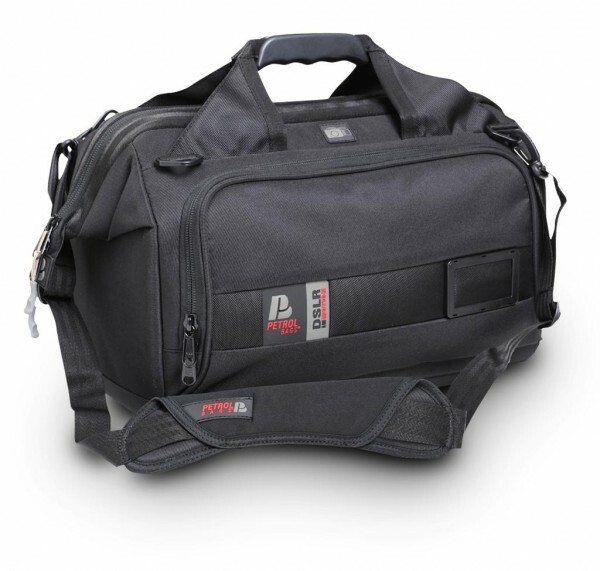 There will be special deals available as well, with 40% off of some available Kessler gear right on the spot. After the general course part is over and all the films were screened on the last day, we are doing the raffle for the amazing give-aways – worth a total of $7,000 – which were donated by our amazing sponsors Vitec Videocom and Kessler. One of last year's lucky winners of great gear! 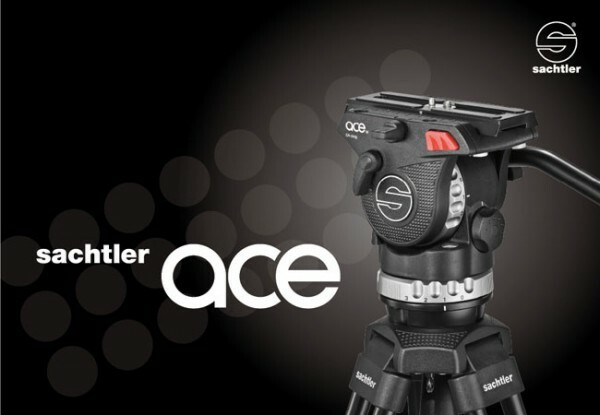 1 Ace M tripod system each at the Las Vegas & Majorca Filmmaking Masterclasses – a $535 value! 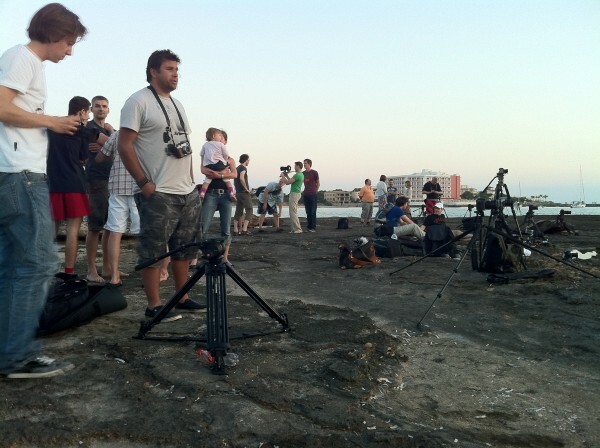 1 FSB6 Carbon Fiber Speed Lock tripod system at the Key West Filmmaking Masterclass – a $1,599 value! 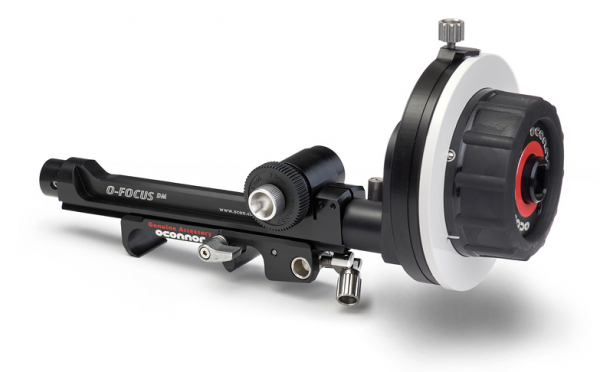 1 OConnor OFocus DM Cine Set with an additional hand wheel for photo lenses, worth in total … hold your breath … $2,700!! 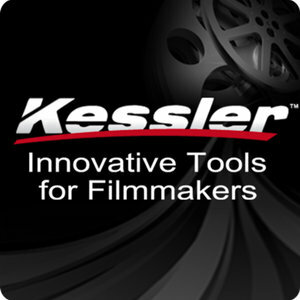 Kessler will give away a $500 voucher for their products at each of the 3 Filmmaking Masterclasses. Because the Masterclasses are strictly limited in attendee numbers, your chances of winning are very high! So this might mean that you can win something that is worth even more than the whole course costs – which sounds like a good deal, right? Be aware that we have only a few spaces left at each Masterclass and we will strictly limit the numbers. So if you want to take part, please hurry up and head to the site. Also, do not hesitate to contact us via info@filmmaking-masterclass.com if you have any questions! The greatest thing about our attendees: They are awesome folks, and often the industry connections and friendships last for a long time! 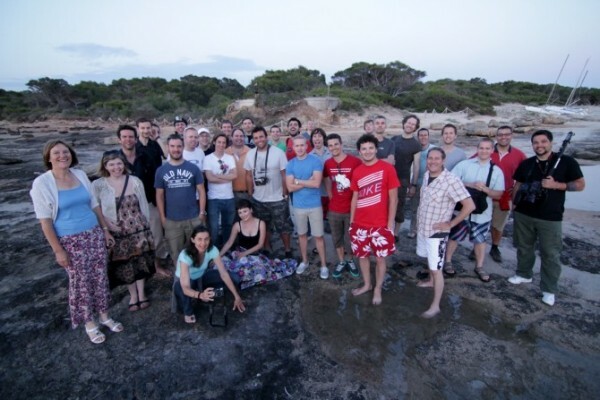 Here a group of attendees from the 2011 Majorca Masterclass. It looks very interesting, didn´t know about workclasses in Spain my country. Pd:the name of the island in Mallorca not Majorca. 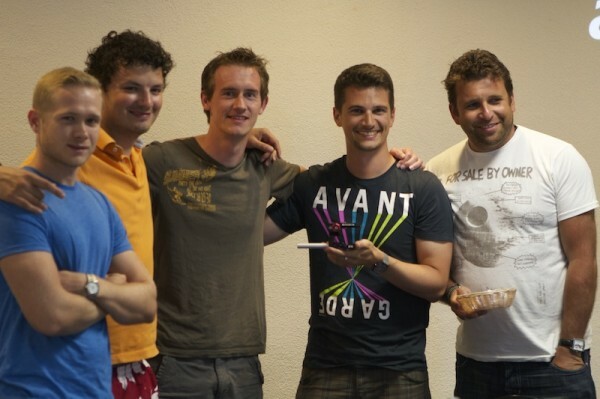 Thanks Javier – Yep, third year and going strong, it keeps getting better every year! Sounds like a really great class. Any chance of bringing your class to the beautiful Rocky Mountains, like the Denver area…? Thanks! Don’t know, nothing planned so far … but we can be booked for workshop, the organization is the hard part for us in places we don’t know.